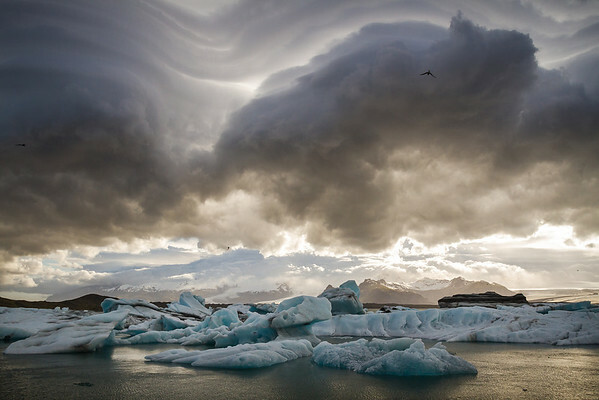 Incredibly dark and foreboding clouds dominate Jökulsárlón, the glacier lagoon on the borders of Vatnajökull National Park. High wind lenticular formations ripple through the skies above. It was truly a magical night in Iceland.